Lease or Buy - Which is best for you? For the average American, the buy-or-lease choice comes around every three or four years. We won't tell you that one is always better than the other, because it depends. We want you to make the most cost-effective and practical choice, and get a vehicle that you'll enjoy driving. Not sure what to do? Read on. This page provides details to simplify your researching process, and to help you decide. Automobile financing comes in two forms: leases and purchase loans. 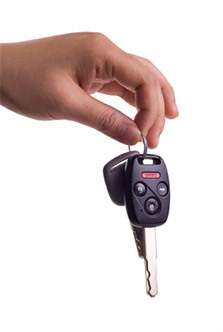 A lease finances the use of a vehicle, and a purchase means you own the vehicle. Either way, you're still driving and making payments. Carter Subaru Ballard wants to set you up with the ideal Subaru model. We believe in giving you all the information up front, so you don't get unexpected fees or unnecessary costs. The research is all in one convenient place with this page, designed show the differences between a lease and a purchase. Costs and benefits are listed side-by-side in clear terms, so you can see what makes the most sense for your lifestyle and budget. When you buy a new car, SUV, or crossover from Carter Subaru Ballard, you pay the full price. This is the cost of ownership, and it doesn't matter how many miles you drive. Typically, you'll make a down payment with cash or pay with a loan, and continue with monthly payments until you've covered the full price, plus tax and loan interest. Your loan company will determine the loan interest based on credit history. After a few years, you may want to sell or trade your vehicle. Many customers want to get a new car before they've finished paying off the original loan. A new vehicle will lose value over time, so you can't sell or trade it for what you spent on it. If you appreciate owning and personalizing a new vehicle, then it might be worth the cost. Leasing a vehicle costs you far less than buying. A typical lease payment plan includes a down payment plus sales tax on monthly payments. It also includes a financial rate, called a money factor, which is similar to the interest on a loan. There may also be bank fees that aren't required if you buy. Subaru does not require a security deposit. After your lease is up, you can buy the car, sell or trade it, or walk away with no negative equity. Both buying and leasing have their own sets of costs and benefits, but both end the same way: with having a car that's a few years old, that you'll want to trade or sell. The question is whether you want to be cost-effective, or if you want to own your vehicle. Let's say you want to lease a $25,000 car. The residual value is 50% after 36 months, so you'll only pay for the $12,500 (50%) difference. This is called depreciation. When you drive a leased vehicle, its value decreases over time, so we won't charge you the price of a new car. You pay based on the guaranteed future value (GFV) of the vehicle, plus finance charges and other possible fees. If you buy the same car, then you owe the full $25,000 plus finance charges and other possible fees. In some states, you must pay taxes up front. This example reflects average, rounded pricing for Subaru models. It also shows that you can save thousands through leasing. There is a way for leasing to be more expensive, though. Some people lease, and intend to buy the vehicle when the lease ends. This is almost always more expensive than purchasing the vehicle over the longest possible term - 72 months. The estimated residual value is almost always higher than the remaining value once the lease actually ends. A higher residual value means lower payments, so we estimate to help you save. When you buy, you're building ownership equity. Leasing doesn't build ownership equity, but the monthly payments are lower. Part of each purchase payment funds the equity. However, the ownership equity is only partial, and it's always declining because the value of the vehicle goes down over time. When you buy a vehicle, you don't have to know how much you drive. You can take an extra road trip without worrying about a mileage limit. Leases have limits, though, on how many miles you can drive per year. A typical Subaru lease allows 10,000, 12,000, or 15,000 miles per year, with $0.15 charged for every additional mile. We'll work with you, and we can customize a lease to suit your needs without an additional charge for driving up to 30,000 miles. Not sure how many miles you drive in a year? Talk to our experts. We can help you find a rough but likely estimate. What if I want to terminate my lease, or trade in my purchased vehicle, early? Here's what happens if you decide you don't want to keep driving the vehicle you're paying off or leasing. With your purchased vehicle, you can sell it privately or trade it in, and keep making payments. This results in negative equity, meaning you'll owe more than the value of the vehicle, but you won't be stuck with a vehicle you don't want. With a lease, however, you have to keep the vehicle for the duration of the lease period, or find someone to take over your lease. External resources are available to help you find people who are looking for a short-term lease. We recommend LeaseTrader.com and Swapalease, both of which charge a small fee to post your lease and charge to transfer it to someone else. Gap insurance does what the name implies - it fills in the gap. When you lease a Subaru, your payments include the cost of gap coverage. Car purchase loans almost never include it. Here's what gap insurance or gap coverage does: if the vehicle you're leasing ever gets stolen or destroyed in an accident, it pays the difference between what you owe, and what your vehicle is worth afterward. It's common to end up owing more on your loan or lease than your car is actually worth, or being "upside down." This can mean that even after your insurance has paid for damages or lost property, you'll still owe hundreds or thousands of dollars to the finance company. It's shocking and unfortunate for most people to get caught with such high costs, and opting for a lease means you'll be prepared for the worst. Below is a chart that compares everything we've covered so far in a side-by-side format. ...would rather avoid lease-end charges. If you're still not sure whether a lease or a purchase would be a better deal for you, talk to our sales experts about finding a plan. We'll discuss budgeting, your driving habits, and other relevant factors. If you already have a Subaru model picked out, ask your Carter Subaru Ballard Professional or Finance Manager for both lease and finance payments so you can compare. Carter Subaru Ballard wants to make your next vehicle shopping experience fantastic. That's why we regularly update our sale specials, lease payment deals, and low rate financing to help our customers save. Our sales staff members have years of experience with finding the ideal models to suit our customers' needs, and will eagerly do the same for you. At Carter Subaru Ballard, serving Redmond, our inventory features the latest 2014 and 2015 Subaru models, along with Subaru Certified Pre-Owned vehicles and a variety of other used models. We want to keep your Subaru performing at its best, so be sure to talk to our service center about a maintenance plan. If you're ready for a test drive, you can give us a call at (888) 843-2701 or make an appointment online. Carter Subaru Ballard is located at 5201 Leary Ave. NW, Seattle, WA 98107, serving Mercer Island. We hope to serve you soon!